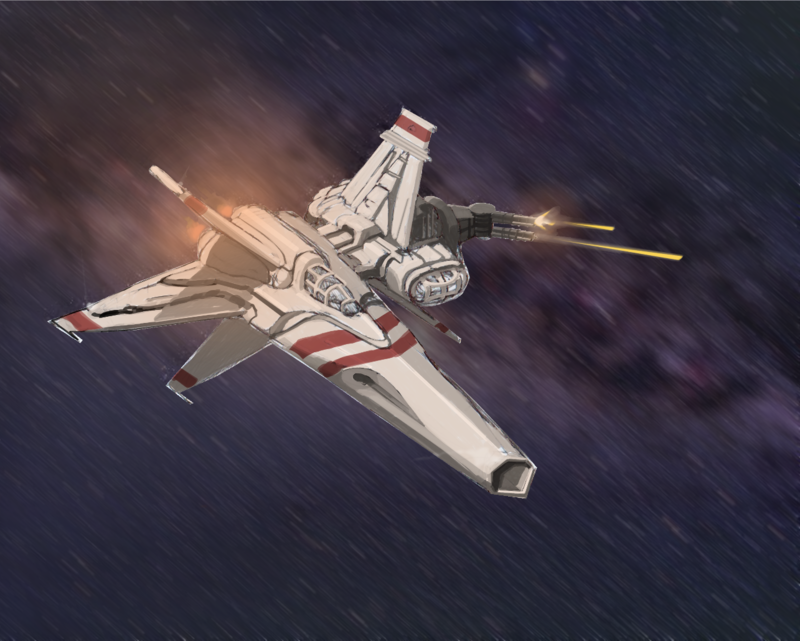 Today I made some mock up stuff for a space combat game project that are looking for an artist. I wasn’t really sure where to start. 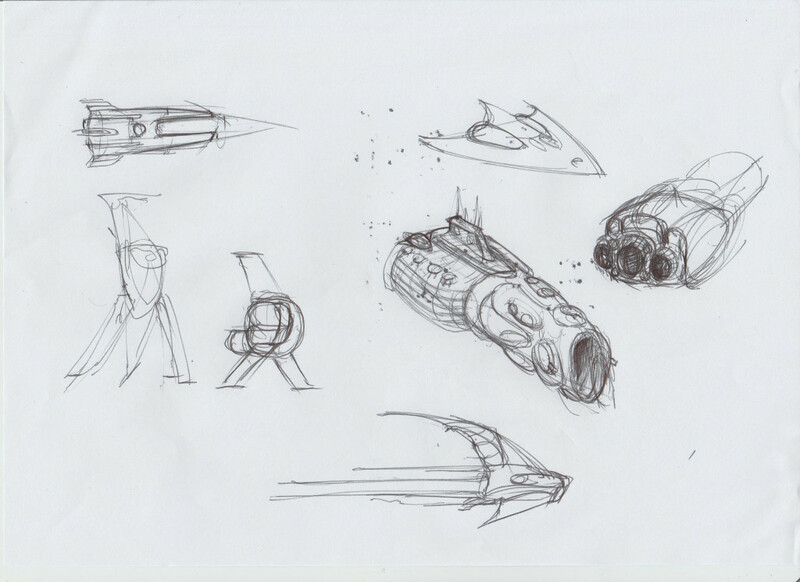 I decided to show my process by sketching up a space ship or two. The project it’s for calls for a vector art style, so this doesn’t really match up. 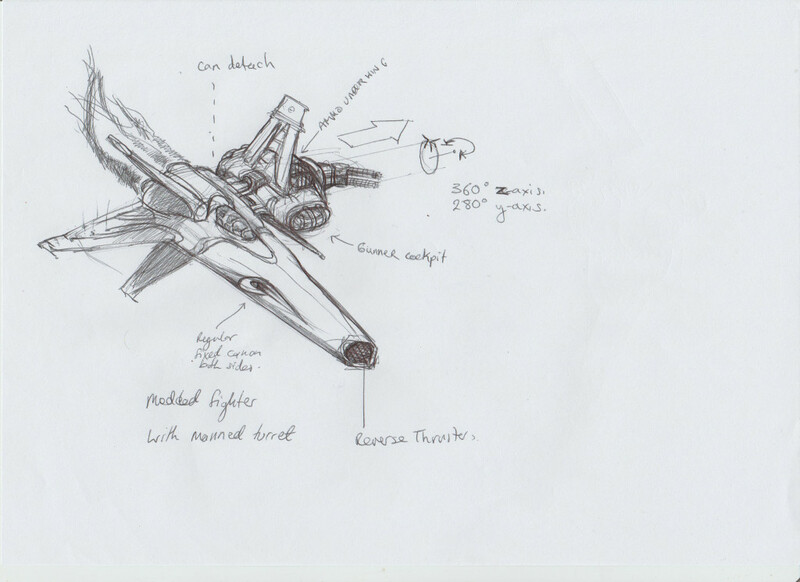 However, since it does show that I can draw spaceships I think it is worthwhile. 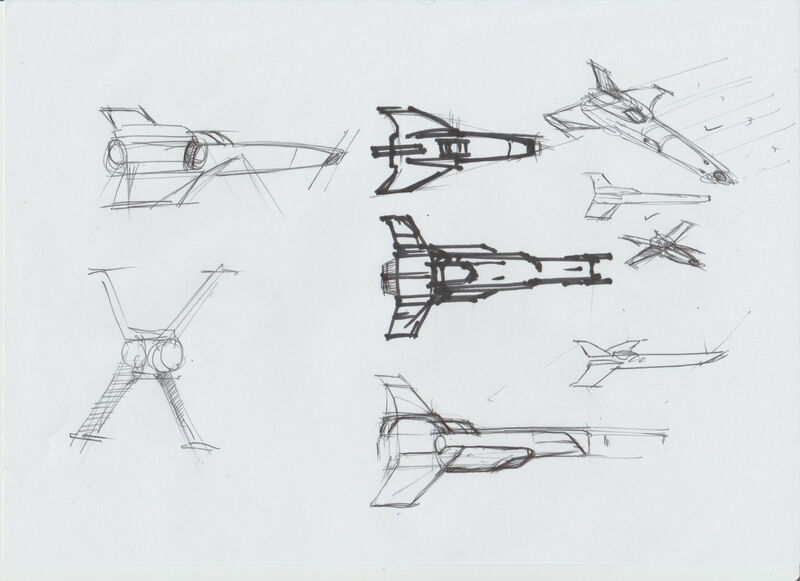 Processing them into vector art is trivial once the design is near complete. I may throw such things here later. 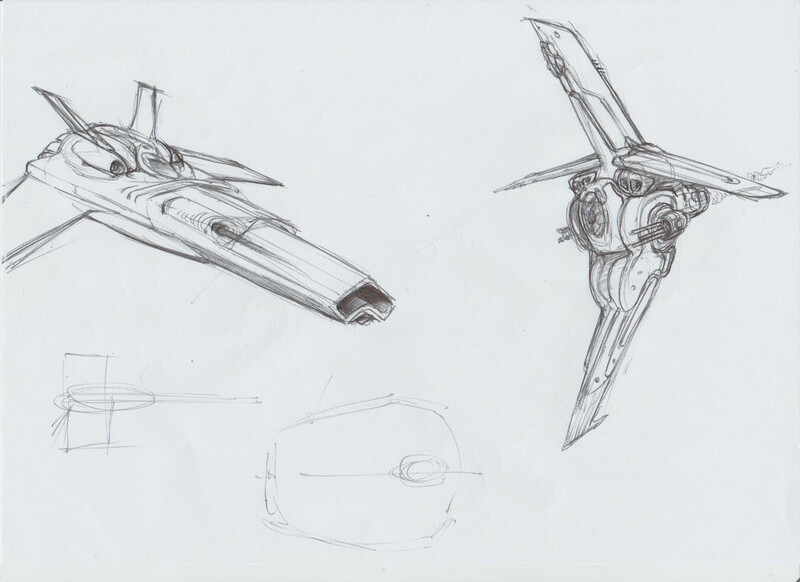 Obviously these designs are heavily inspired by Battlestar Galactica and Star Wars.